A new species of crying snake has been discovered in Arunachal Pradesh’s Lepa-Rada district. 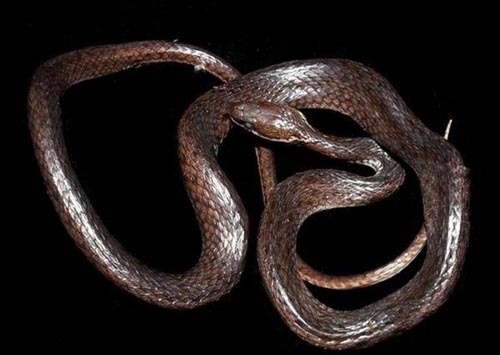 Guwahati-based reptile expert Jayaditya Purkayastha made the discovery of the non-venomous crying keelback in the Basar area of Arunachal Pradesh. The discovery has been published inZootaxa, the New Zealand-based scientific mega-journal for animal taxonomy, reports The Hindu. The crying keelback’s, zoological name isHebius lacrima. ‘Lacrima’ means tear in Latin. The specimen obtained from a paddy field on a hill slope on the outskirts of Basar town was an adult male 48.7 cm long. The crying keelback had to be compared with 44 species of snakes worldwide under the genusHebius. “I had data on 20 species of this genus. So I collaborated with Patrick David of the Paris-based National Museum of Natural History who had data on another 22,” Purkayastha said. According to the paper by Purkayastha and David, the crying keelback can be differentiated from all other species of the genusHebiusby the combination of a distinctive broad, white, interrupted stripe along its body; three rows of irregular dark blotches (not vertically aligned) on each side; six cream, elongated spots on its anterior part and a smooth dorsal scale row. The snake, prefers to live near streams along paddy fields and was found to feed on small fish, tadpole, frogs and geckos.